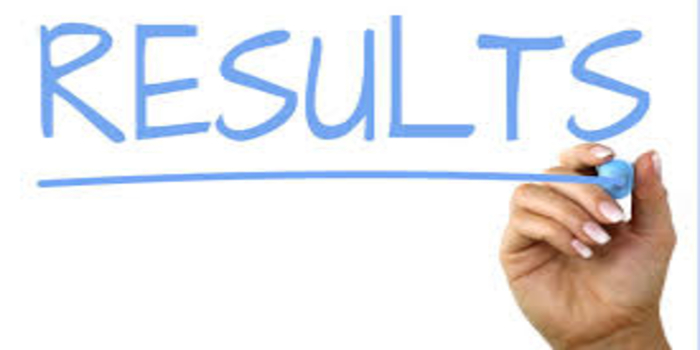 Panjab University Result 2019 – The Panjab University, Chandigarh releases Panjab University 2019 result in online mode for entrance tests in both UG and PG courses. The result of Panjab University 2019 for undergraduate courses will be declared from May 13 to May 15, 2019. Candidates who took the admission test will be able to check Panjab University Result 2019 with the help of the official link given below. For UG and PG courses, candidates will have to enter their roll number and course applied for to check Panjab University 2019 result. However, the result for M.Com. (Hons.) will be released in the form of a pdf showing the list of qualified and non-qualified candidates. The entrance test results for M.Com. (hons.) will not be shared with the candidates and will be sent confidentially to the chairman of UBS. For courses other than M.Com., the result will display candidate’s name, marks, category, and qualifying status. After checking his/her result, the candidate is required to download and retain it for further references. The qualifying status of the candidates will be determined on the basis of their fulfilment of minimum cut-offs or qualifying marks decided by the university for each course. Subsequently, the university will prepare a merit list on the basis of candidates’ results, their marks in the qualifying examination and scores in group discussion or personal interview wherever applicable. Candidates listed in the merit list will also be asked to attend a counselling session. After the counselling round, a final merit list of selected candidates will be prepared. The Panjab University, Chandigarh, conducts PUCET 2019 every year to grant admissions into its UG and PG courses. The entrance test for Panjab University admission 2019 will be conducted in April 30, 2019 for UG courses, whereas for the entrance test for PG courses will be conducted on June 8 and June 9, 2019. To check the result of Panjab University 2019 and other important information like result dates, details mentioned on the result, procedures following result declaration, etc., read below. Listed below in the table are important dates related to result of PUCET 2019 like exam dates and result dates for both UG and PG courses. Candidates may refer to these dates to be abreast of key events. Mentioned below are steps to download the result of Panjab University 2019 for both UG and PG courses. Candidates may refer to these steps to download their results easily. Click on the official link given below to check and download result of PUCET 2019. Upon clicking on the link, candidates will have to enter in their roll number and select the course they want the results for. Next, they will have to click on ‘show result’. Candidates’ results will be displayed on the screen. Candidates should download and take a print out of the result and retain it for further references. How to check Panjab University Result 2019 – M.Com (Hons.). Candidates need to click on the pdf link given below. Upon clicking on the link, a Pdf will appear which the candidates will have to click on. A list will appear on the screen displaying the name of the candidate, his/her category, DOB, qualifying status, and roll number. Candidates may download and take a print out of the list and retain it for further references. Candidates will find the following details mentioned on the result of Panjab University 2019. For UG courses, the following three fields will be taken into account with the specified weight age: (i) Qualifying examination – 25%, (ii) Entrance examination – 75%, (iii) over and above weight age of NCC, NSS, etc. wherein P = Percentile, N= Number of Students, R= Rank of the candidate in the merit list of his/her stream. For M.A. in Disaster Management, Remote Sensing and GIS, History, M.Com. Business Innovations, the following fields will be considered with the specified weight ages – (i) written entrance test – 50%, (ii) Qualifying exam – 50%. Academic or other weight ages will be on the basis of marks scored by candidate in the qualifying exam as prescribed by PU. Candidates who secure equal marks in the final merit will be bracketed together. Given below is the mechanism adopted by the university to determine their inter-se rank. However, this is applicable only for PG courses. Candidates who secure a higher percentage in the qualifying examination (bachelor’s degree) will be ranked higher in the order of merit. If the marks scored in bachelor’s level exam is same, then candidate securing higher percentage in class 12th will be ranked higher in the order of merit. If the tie still persists, candidates senior in age will be ranked higher in the order of merit. Candidates mentioned in the merit list will have to physically attend the counselling session on the specified date and venue. The schedule for counselling will be released by the university in online mode. Upon reaching the counselling venue, candidates will be required to mark their attendance. Candidates will have to carry all the relevant documents along with the copy of online admission form at the time of counselling. After the counselling session and taking into account candidates’ scores in written examination, group discussion, personal interview, and so on, a final merit list and waiting list will be prepared by the university. This final merit list will mention the names of the candidates selected to take admissions into the university. The waiting list will mention the names of waitlisted candidates. Mentioned below are cut offs of PUCET 2018 for both UG and PG courses. Candidates may refer to the following cut offs to get a fair idea of the minimum marks they should score in the admission test. The result of Panjab University 2019 will be released only in online mode. Candidates will not be issued separate result cards. Requests for reassessment and revaluation of answer scripts will not be accepted by the university. However, a photocopy of the answer script will be provided to the candidates upon the payment of Rs. 10,000. If the candidate points out an error and if the university considers it valid, a suitable action will be taken and the fee will be refunded. Candidates are required to download and retain the result for further references..